We opened the show with some recent news about Bay Ridge for the week of June 3rd, 2018. We started off by mentioning the recent arrest and detainment of Pablo Villavicencio Calderon. Pablo is a pizza deliveryman who was delivering catering to the Fort Hamilton Army Base when, unlike the previous times he had delivered to the base, he was detained despite showing his municipal IDNYC card. He was able to access the base as usual, but another guard stopped him inside the base asking for more identification, which is not standard. The guard may have had a personal issue with Pablo. Pablo also stated to the NY Post that he did not authorize the base to conduct a background check, which generally requires written permission upon entering the base. The arrest was reported in El Diario on June 4th, which sparked a press conference early in the day on June 5th with local elected officials, and a major protest by activists later that evening, which resulted in the arrests of seven Bay Ridge residents and neighbors who were participating in a coalition that responds to ICE detainment and arrests. The coalition is organized by the Immigrant Justice working group of NYC Democratic Socialists of America and the New Sanctuary Coalition, and includes local activist groups as participants, including Bay Ridge for Social Justice and South Brooklyn Progressive Resistance. We’ll have more information on the protest, how you can help Pablo, and ways that you can get involved and defend your neighbors in an upcoming episode. For more up-to-date news, follow @RadioFreeBR on Twitter. June is a busy electoral month! From June 6th through July 9th, candidates for state office will be collecting petitions to earn their place on the primary ballot. This includes our Mathylde Frontus, as well as our two most recent interviewees, Andrew Gournardes and Ross Barkan. Remember, you can sign a petition for one candidate per race. For the 22nd Senate District Democratic primary, you can choose either Ross Barkan or Andrew Gournardes. For the 46th Assembly District, you can choose between Mathylde, Ethan Lustig-Elgrably, or Chris McCreight. Both Ethan and Chris come from rival Democratic clubs in the district, representing Coney Island and Bay Ridge, respectively. Also, June 26th is election day for the NY-11 race! We covered all the candidates in the race this past March, so listen in on those previous episodes if you haven’t decided yet. We also highly encourage you to check out the wonderful voter guide that Fight Back Bay Ridge developed. The guide is also available in Arabic, Chinese, Russian and Spanish. Dan also mentions at the top of the episode that Community Board 10‘s Transportation Committee recently met to listen to a DOT proposal for bike lanes along 92nd street. The meeting resulted in the committee pushing back on the DOT proposal, citing a few issues. First, that 91st/92nd do not line up at 3rd Avenue. Also, that the 92nd street corridor between 5th and 7th Avenue is adjacent to many schools, and that the 92nd Street overpass is dangerous for a painted lane without signal improvements and more bicyclist protections. Finally, residents were concerned that 91st and 92nd were too steep, and that bicyclists would thus be unable to get out of the way of frequent emergency services vehicles that use the route to get to the senior housing facility at Shore Hill. As a result, the Transportation Committee set up a supplemental meeting at the District Office on 5th Avenue for June 12th at 7 pm. They’ll discuss how they intend to move forward and to discuss the possibility of whether the Community Board would be interested in organizing a visioning session with local cyclists to come up with a possible bike plan for Bay Ridge and Dyker Heights. It’s a public meeting, so feel free to show up and lend your voice! We started out our interview with Mathylde by talking about the exact boundaries of New York’s 46th Assembly District, which includes most of southern Bay Ridge. The dividing line zigs and zags from the water to 3rd avenue, but generally lies along 79th street. If you live in the 80’s or 90’s, you certainly live in Mathylde’s district. Mathylde mentions her early childhood in Crown Heights, and that she speaks fluent Haitian Creole. According to the government’s 2015 American Community Survey, the number of residents in the 46th Assembly District that speak a form of Creole is estimated to be over 12,000, the second most spoken dialect in the district. Only Russian is higher at an estimated 25,000 residents. Chinese accounts for about 9,000 residents, Arabic at 4,000, Greek at 3,000, and Italian at 2,000. However, Mathylde’s (passable) French puts her in a more rarified category: only about 300 residents speak it! Mathylde talks about how growing up in Coney Island affected her future and guided her towards social work, community organizing, and more. She mentions that where we grow up often has a major effect on who we are and what we choose to focus on as we grow older. Researchers in 2012 did an interesting study comparing two liberal, waterfront cities: San Francisco and Boston, and found dramatic sociological differences that defied traditional socio-economic distinctions. You can read a brief overview of the study over at CityLab. Mathylde briefly shocked Dan during the interview by mentioning that she attended Edward R. Murrow High School﻿, graduating in 1994. Dan is also an alumnus of the sprawling 4,000+ student public school, which has an odd history. It was designed to experiment with the teaching methodology of John Dewey, and had a number of peculiar quirks. While Mathylde and Dan were students, the school was divided into four quarters, rather than semesters. Dan mentions OPTA’s, which were “Optional Time Activities” that students could schedule when they did not have class in a particular “band” (period). Mathylde briefly mentions her educational background in a few spots throughout the episode. By the way, you heard right! Mathylde mentions briefly that she attended NYU at the age of 16. Her entire educational history has been exceptional. According to a 2011 interview with the Brooklyn Paper (where she won one of Brooklyn’s ‘Women of Distinction’ awards), Mathylde was able to read at age 2 and started first grade at age 4. She entered high school at age 12! While attending NYU, Mathylde commuted from Coney Island, and while there helped start a chapter of the Council for Unity. It was another early example of her commitment to social justice, violence prevention, and community organizing. Mathylde also makes brief mention of her post-graduate work, after getting her Bachelors and Masters in Social Work from NYU. She also received a Masters in Clinical Psychology from Columbia University’s Teacher’s College (2000), and then went straight into an interdisciplinary program at Harvard, sharing her course load between the Divinity School and the Psychology department, where she earned her Masters in Theological Studies in the Psychology of Religion (2002). At this point, with three Masters degrees, Mathylde returned to NYC and briefly lived up at Columbia University while pursuing her Ph.D. from the School of Social Work. Her thesis fused all her various degrees in psychology, social work, and divinity: it was an analysis of how clergy view themselves and their role in the field of mental health services. Clergy are (and historically have been) “frontline sources of mental health information” in their communities. Her findings were interesting. They showed that clergy took their role as mental health providers very seriously… but few had formal contact with professional mental health providers. Professional training and referrals were also lacking. This is critical since clergy are on the front lines, tackling roadblocks that prevent people from seeking treatment. Clergy are uniquely situated, for example, in dealing with the stigmatization of mental health. They can help ease patients toward professional care if they don’t feel comfortable getting direct treatment. Mathylde’s research can hopefully bridge the gap between professional social workers and spiritual advisors in the community, and encourage collaboration. Mathylde returned to Coney Island while working on her Doctorate. Soon thereafter, in 2004, she decided to found Urban Neighborhood Services (UNS). The idea had been kicking around in her head since High School. By 2008, they opened their first office. Mathylde mentions that the office is on the main drag of Mermaid Avenue, three blocks west of the Stillwell Ave station. In a former life, it was a beauty shop﻿. She’s correct when she mentions that everyone would need to walk past it while heading to subway. This includes everyone west of W19th street. That includes all of the NYCHA facilities in Coney Island, such as O’Dwyer Gardens, Carey Gardens, Surfside, Gravesend and more. These housing facilities account for over 8,000 people alone. A small storefront agency, Mathylde talks about how she stayed involved in day-to-day operations even as the agency grew. “My door was always open”, she says. You can see Mathylde’s office in the photo below (it’s the room with all the degrees on the wall, obviously.) The door is indeed open. She mentions that it’s this kind of engagement and openness that would carry over to her candidacy and possible election to the Assembly. Urban Neighborhood Services operated, as Mathylde mentions, as a “Multi-service agency”. This means that they provided numerous services to the community. It also meant the organization was free to adjust it’s offerings as the needs of the community changed. During the course of the interview, we touched on a few of these. Veterans Outreach was started in 2008 when the storefront office opened. Monthly outreach meetings helped establish a link between local veterans and the New York State Division of Veterans Affairs. It also had documentary screenings and info sessions with psychologists on issues such as Post-Traumatic Stress Disorder. They also held sessions on bridging the gap between the community and veterans. A Youth Leadership Academy started in 2007. It provided eight-week summer training programs for local teens. Partners usually included local banks, Luna Park, and briefly Ringling Bros. and Barnum & Bailey when they brought a touring show to Coney Island in 2009. The circus, in turn, donated proceeds from its ticket sales to help fund Urban Neighborhood Services for the year, with redeemed passes given to the community resulting in a 50 cent donation. Another service that Mathylde says started due to popular demand was job and housing search assistance. UNC partnered with groups like the Coney Island Development Corporation (CIDC) to inform residents about housing opportunities and home ownership. Mathylde talks in the interview about the transformational power of simply providing information to those who need it. In addition to workshops, her office also kept books containing local apartment listings and job opportunities for those who needed them. Mathylde also discussed the importance of partnering with other nonprofits in the community. For example, Urban Neighborhood Services worked with the Community Service Society (CSS), the South Brooklyn Legal Society (SBLS), and others. Together, they provided reentry services. These programs help formerly incarcerated residents navigate the process of dealing with the complications that arise from having a criminal record. Another early program UNS ran was a college tour program in 2007, before it even had an office. They visited local colleges, ivy leagues (especially Mathylde’s alma maters), and everything in between. Free SAT prep followed a year afterward at local libraries. Another year later, in 2009, the program expanded into a “Coney Island College Forum” to help college-bound students navigate the admissions system. Lastly, a major service that Urban Neighborhood Services offered throughout it’s history was health services. Called the CHIA Project (Community Health Information Access) it provided free health literature and connected residents with professional health services. It also held workshops with partner organizations. For example, it was heavily involved in providing information to residents about the Affordable Care Act and how to get affordable health insurance. Interestingly, very few of these services faded into the background. Looking back through the history of Urban Neighborhood Services, we couldn’t find any evidence of major initiatives being dropped. Small offerings, like green initiatives, teen motherhood workshops, and notary public exams never seem to have expanded into full-fledged programs. But generally, it seems like the organization always expanded and increased its service portfolio over time. Mathylde cites financial services as one of the earliest things that Urban Neighborhood Services offered. Offered free of charge, it is now known as the Financial Paths project. It includes seminars and workshops on money management, small business services, housing, and more. The impetus for this, Mathylde says, was the prevalence of check-cashing services in Coney Island. While some of these services provide alternatives to more mainstream banking services, many check-cashing businesses charge high fees to residents and trap them in a cycle that makes them unable to build savings or credit ratings. On the other hand, check-cashing services cater to those who find major banks confusing or untrustworthy, or who can’t maintain account minimums. However, many check-cashing places have expanded into full financial service centers, providing automated bill payments and even their own debit cards. Even those who use both traditional banks and check cashing are considered “underbanked”. The long-term results of relying on these Check Cashing outlets can be devastating. In 2013, the national average of people without a bank account was 7.7%, whereas in Coney Island the rate was nearly 10%. Worse, the share of “underbanked” individuals in Coney was 23%, 10 percentage points higher than two years earlier. In context, however, the rate for other neighborhoods in Brooklyn was even worse. To help put power back into the hands of consumers, Mathylde focused on improving financial literacy in the neighborhood and helping residents plan for their future. The flagship service for Urban Neighborhood Services was their Financial Paths project. It focused on breaking the cycle of poverty. It held seminars on personal finance, homeownership, business entrepreneurship, and more. Collaborations with major financial services like Citibank, Primerica, and Municipal Credit Union were common. The program is perhaps the best example of Mathylde’s belief that education is the key element in alleviating socio-economic issues facing the district. One of the other major programs that Urban Neighborhood Services provided, which we, unfortunately, didn’t touch on during our interview with Mathylde Frontus, is LGBTQ advocacy. After encountering pushback due to biases in the neighborhood while establishing an LGBTQ support group for teens, Mathylde worked with The New York City Gay & Lesbian Anti-violence Project to provide organizational anti-bias training to local organizations. The Safe Zone Project itself is a movement that originated organically on college campuses. It coalesced into a series of best practices for helping to train people into becoming better allies to the LGBTQ community and creating inclusive environments in their organizations. It’s a free, open, and collaborative curriculum anyone can get involved with! Mathylde mentions that it took about $18,000 dollars in grants to finally open the storefront office of Urban Neighborhood Services. Some fundraising came from traditional sources, such as discretionary funds from local politicians. An early supporter was then State Assemblyman Alec Brook-Krasny (Pam Harris’s predecessor, now arrested for health care fraud), who turned up on the grand opening for the UNS office. State Senator Diane Savino, Congressman Jerrold Nadler, and City Councilperson Domenic Recchia were also supporters for specific programs. For example, between 2009 and 2013, Councilperson Recchia would allocate between $4k to $8k for youth programs. His successor Councilperson Treyger would allocate the largest unstipulated amount, about $25,000 yearly, until 2015. City grants also played a role, including from the Department of Youth and Community Development. No single source, however, accounted for a majority of the nonprofit’s funding. Mathylde was a savvy fundraiser, augmenting the nonprofit with a patchwork of revenue streams. She received multiple awards to help fund UNS, for example. Banks and corporations would also put money toward the organization. Usually, these corporate donations were restricted to a single program. For example, major developers like Thor Equities and Astella Development Corporation rallied local groups for beautification projects. ConEd, early on, put funds toward efforts to run a program on energy efficiency. Many programs depended on specific donors to function. Cultural events and fundraisers filled in the gaps. Mixers and restaurant fundraisers were common. In addition, social events such as poetry jams, art exhibitions, and talent shows helped keep defray operating expenses while also fulfilling a social outreach and empowerment function. The fundraising worked. By 2014, the $18,000 Mathylde used to found the organization would end up equaling the yearly cost of office expenses alone, as the organization had a total expense budget of nearly $280,000 dollars. Nearly half of that would go towards program services (such as compensation for experts and educators running programs), with the rest being spent on office upkeep and management. This overhead ratio is reasonable for a very small (under-$500,000) nonprofit, especially a multi-service agency with a storefront rental. Mathylde had generally earned about $50-60k per year as Executive Director until she departed in 2017. We do not know what the current Executive Director makes by comparison, however. Superstorm Sandy hit Coney Island hard in the Winter of 2012. Over 97% of Coney Island’s housing units lay within reach of the storm surge, much of it overflowing from Coney Island Creek to the north. With the exception of Carey Gardens, all NYCHA facilities lost power. Most of Mermaid Avenue was under five feet of water. In the immediate aftermath, Urban Neighborhood Services mobilized relief efforts and acted as a hub for donations. UNS coordinated food distribution for residents. For Thanksgiving, over 200 people gathered outside the office while volunteers distributed food from multiple donors such as Damascus Bakery, Lenny’s Pizza, Gravesend Key Food, and more. The office became a major distribution point for relief efforts throughout the winter, punctuated by major events. The office was the site of a “Give Back” drive in December, where residents received clothing, personal items, gift cards for groceries, and more while Mathylde listened to peoples stories about how they were holding up. Disaster assistance was not unusual for Urban Neighborhood Services. They also organized relief efforts after the earthquake in Haiti in 2010. However, the damage to the storefront office was extensive. The office was unfit for day-to-day operations. Mathylde had to scramble to get it back open. She had to sublet a room from which to work out of, sharing space with the Amethyst Women’s Project. It wouldn’t be until July of next year that the office would be able to reopen, after nine months of closure. Urban Neighborhood Services continued to partner with agencies after Sandy to contribute toward plans for Coney Island’s recovery. It sponsored and held events analyzing the impact of the storm. Mathylde herself continued to be outspoken about the divide between residents and developer interests in the following years. One of the long-term goals of Urban Neighborhood Services ties back to Mathylde’s academic roots. Early on, UNS sought to “be part of the national dialogue regarding how to improve social conditions in America’s urban communities” by assisting with “research on issues affecting urban residents such as housing, employment, poverty, inequality, and resiliency; and to disseminate our findings through conferences, publications, and other effective methods.” In turn, they promoted work from various urban research groups from Columbia, NYU, CUNY, the New School, and Urban Institute. Mathylde herself is no longer involved in Urban Neighborhood Services, which has a new director and is no longer an independent agency. In July of 2016, Urban Neighborhood Services was merged with a larger umbrella organization in Coney Island, the Jewish Community Council of Greater Coney Island (JCC GCI). Mathylde left the organization and it is currently administered by a site director, Shirley F. Juste, who holds a masters in Psychology and is working toward a degree in Social Work. JCC GCI shouldn’t be confused with the Jewish Community Center (JCC) Association, a nation-wide organization that runs the YMHA’s such as the 92nd Street Y. JCC GCI instead operates under the Jewish Community Relations Council of NYC (JCRCNY). Major initiatives were added as a result of the merger with JCC GCI after Mathylde left. 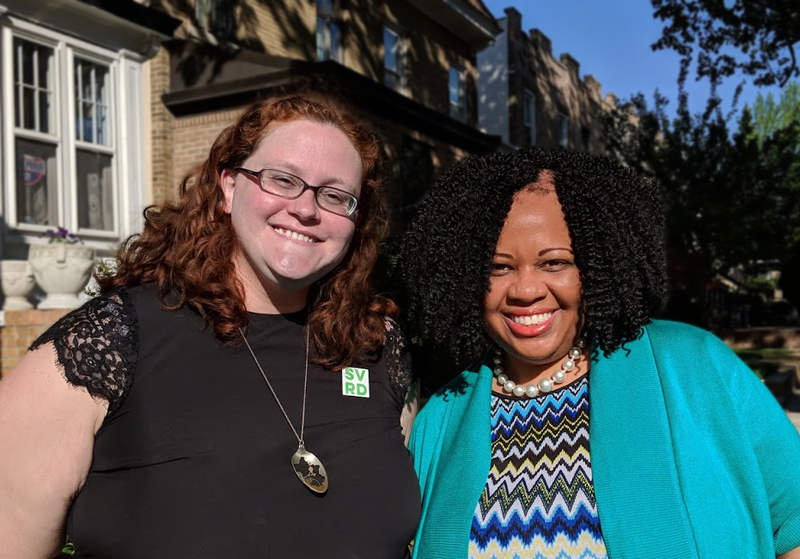 The largest was the Housing Preservation Initiative “thanks primarily to the recommendation of Councilman Mark Treyger”, resulting in over $51,000 in funding. The Housing Preservation Initiative is a citywide $2.5 million dollar initiative whose goal is to help nonprofits “preserve affordable housing”. The grant to Urban Neighborhood Services helped to run two legal clinics, eight tenant meetings, and 462 one-on-one counseling sessions, according to the JCC’s 2017 Highlights. Another program, a Domestic Violence initiative called DoVE, resulted in an additional $30,000 from Councilman Treyger in 2018. Alone, these programs have increased the operating budget of Urban Neighborhood Services by nearly 20% from 2015 levels. It also represents a 400% increase in discretionary funding by the Councilman in comparison to 2015, before Mathylde left the organization. In comparison, since the merger, the expense budget of UNS has declined to $124,000 according to tax documents. This is half of it’s pre-merger levels. It would also seem to indicate that as of 2017 more than half of the overall UNS budget was dedicated to the housing and domestic violence initiatives funded or recommended by Councilman Treyger. This episode was recorded in our Bay Ridge studio with co-hosts Mary Hetteix and Daniel Hetteix. Post-production and editing are by Daniel Hetteix.